As Christ prepared to eat his last meal with his disciples, the sunset marked the beginning of more than just a natural darkness. 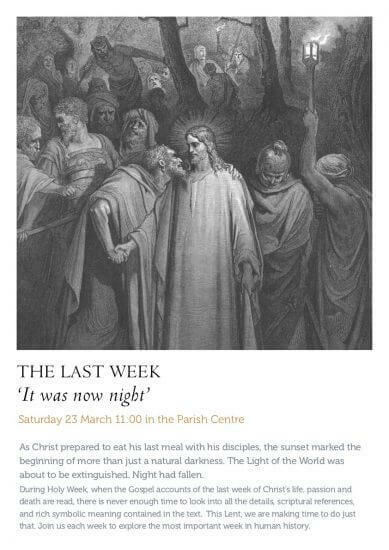 The Light of the World was about to be extinguished. Night had fallen. Talk takes place on Saturday 23 March in the Parish Centre. Cafe Neri open from 10:30.